Hello everyone! Debbie with you here today! 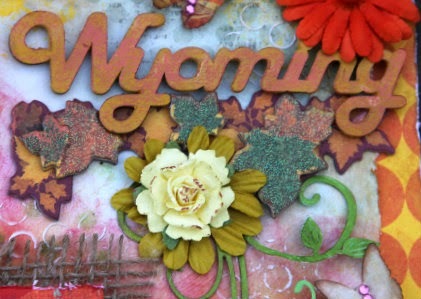 As most of you know, I live in the beautiful state of Wyoming. WE are known for our wide open spaces, our beautiful mountains and if you've never been to Wyoming to witness a beautiful sunrise or sunset you have missing out! They are copper colored and I am so fortunate to see them everyday of my life! I have a layout to share today that shares one of our beautiful sunsets with you. I used the perfect Leaky Shed Studio chipboard to embellish this layout. Leaky Shed Studio has every state in their store! 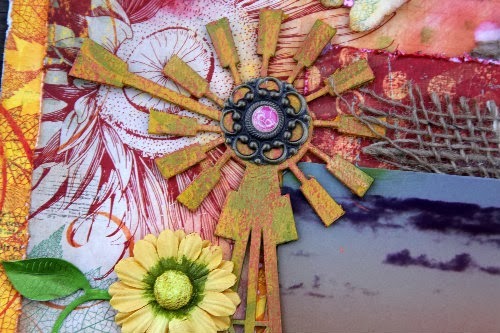 The Windmill is so beautiful, it's dimensions are 3.75" x 7.50"and it fits the page perfectly! I also used a pretty little ornate corner...they are one of my favorites and I use them a lot!! Now for some directions on how to get this look for your chipboard pieces. I started out by paining my chipboard with Luminarte Silks in Yellow Rose. Then Highlighted the edges with Olive Vine. When everything was dry I went over it with clear crackle by Viva. I then rubbed with Inka in Copper. Embellish as you wish. Pretty simple! This is soooooooooo gorgeous! I love love love that photo and the windmill!!!! 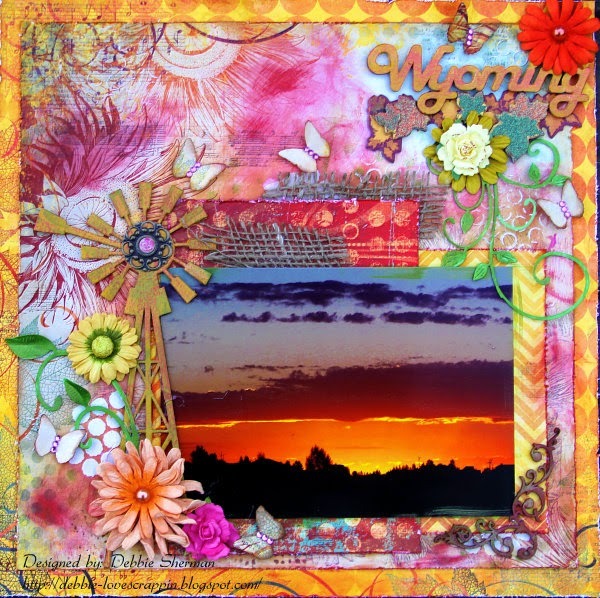 That windmill goes perfectly with your gorgeous sunset photo! Beautiful layout!! !